Ready to Build Something Great? See our open positions. We are a fast paced, growing, and cutting edge business design group. We merge strategic business development with product design, digital design, and marketing for clients and our own internal projects and technologies. We think creatively, always blending fresh and innovative design with long term business strategy, to deliver the best for both our concepts, and those of our clients. We work hard and play hard. Some days we are here late because we are on a roll, other days we’re celebrating the newest concept we finished with martinis at lunch. We have started businesses from the ground up, highlighting their unique offerings and showcasing them through a combination of design and business. Our loyal clients range from hot new starts-ups to Fortune 500 companies who depend on our impactful results and innovations we’ve built our reputation on delivering without fail. We are a fast paced, growing, and cutting edge design group. We do everything: product design, digital design, branding, logos, marketing, and strategic business development. We think creatively, merging fresh and innovative design with long term business strategy, to deliver the best for both our concepts, and those of our clients. We work hard and play hard. Some days we are here till midnight (and later! ), other days we’re celebrating the newest concept we finished with martinis at lunch. We have started businesses from the ground up, highlighting their unique offerings and showcasing them through a combination of design and business. Our loyal clients range from hot new starts-ups to Fortune 500 companies who depend on our impactful results and innovations we’ve built our reputation on delivering without fail. We are looking for a talented industrial designer to join our team. You are energetic and creative. You understand that you don’t know everything. Your attention to detail is apparent in your design, that you always finish on time, and your style is fluid such that it works for a variety of concepts or products. You enjoy working collaboratively but are self motivated in your work. You contribute thoughtful and effective ideas, and have strong communication skills. You handle criticism well. You are always willing to help with any project at any time and don’t mind working late when needed. You don’t complain. You want to increase your own functional knowledge and expertise.  Most importantly, you want to work for a company that can expand how you think about design, and that’s why you’re interested in joining FACTOR 10. To apply, please send your resume and portfolio to create@f10design.com. We look at every application but depending on workload we may not be able to get back to you right away.